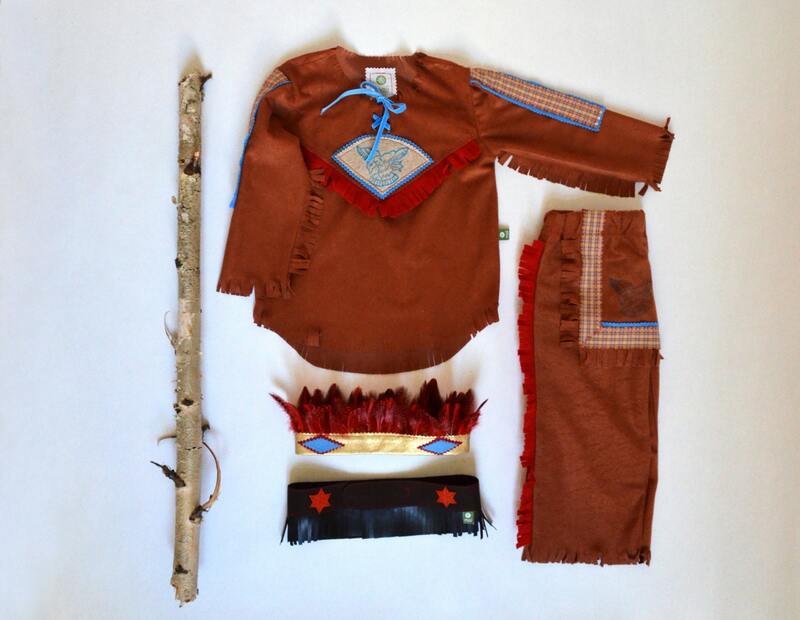 This costume consists of a pair of trousers and a top with lovely details. 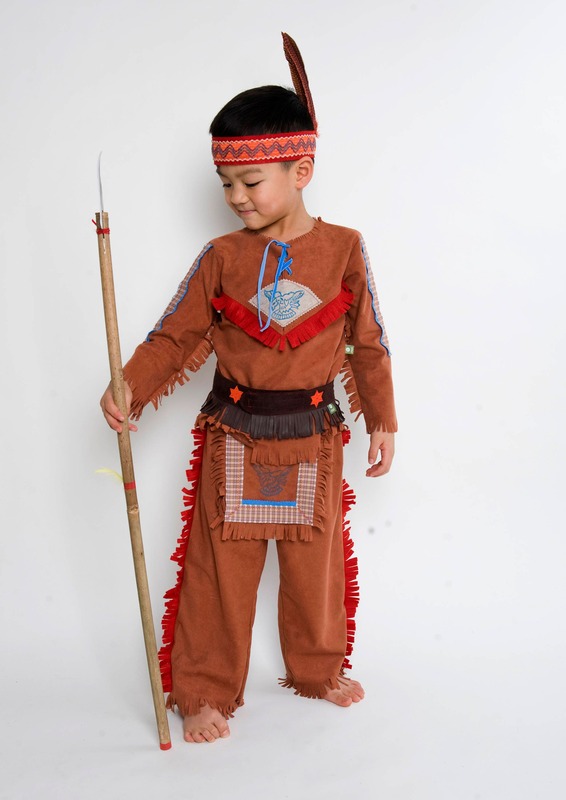 It is made of suede imitation (100% PES) with a velvety surface. 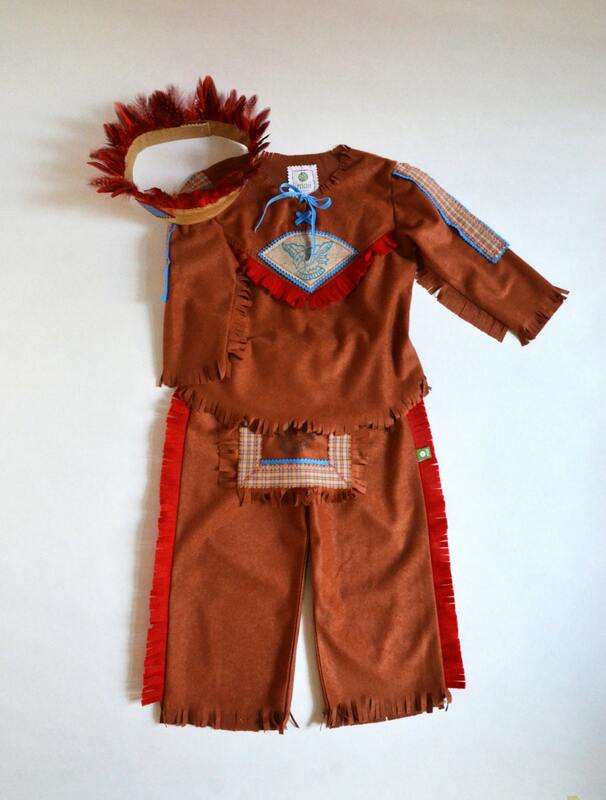 The costume is provided with many different ornaments, such as the side framed red fringe, the eyelet on the neckline and the stamped symbol on the chest and the indicated loincloth. 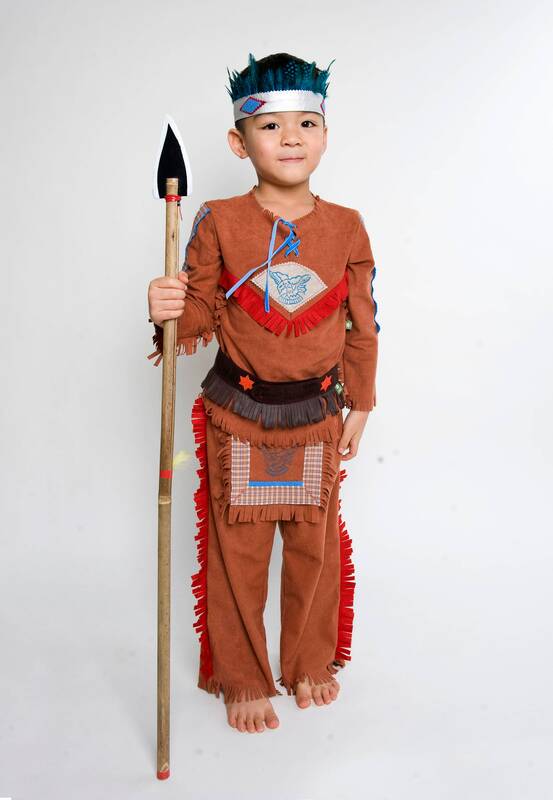 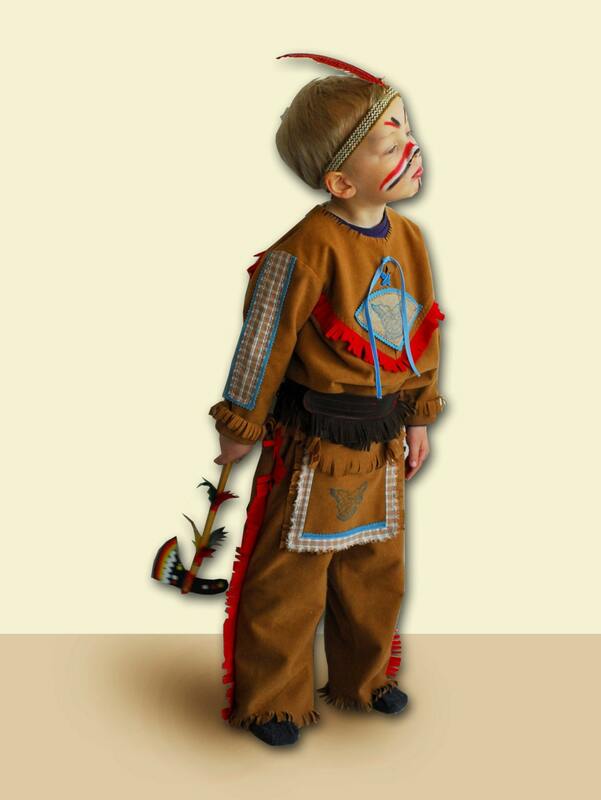 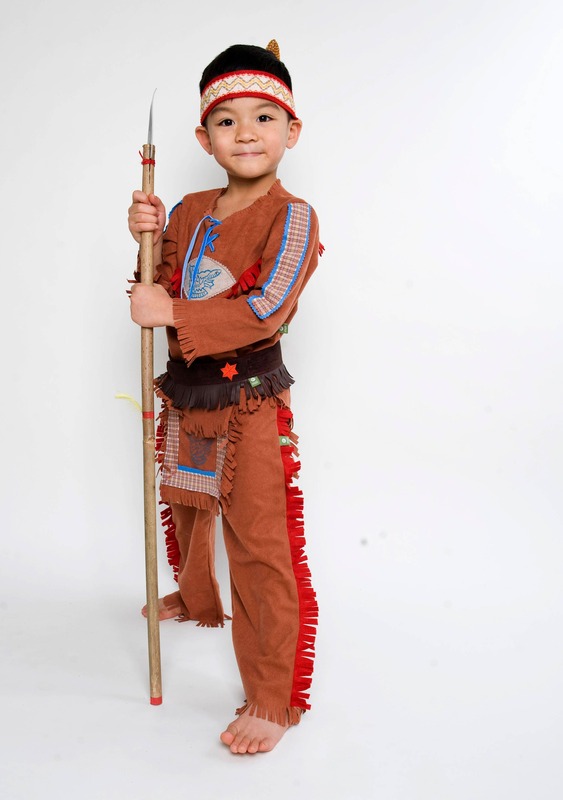 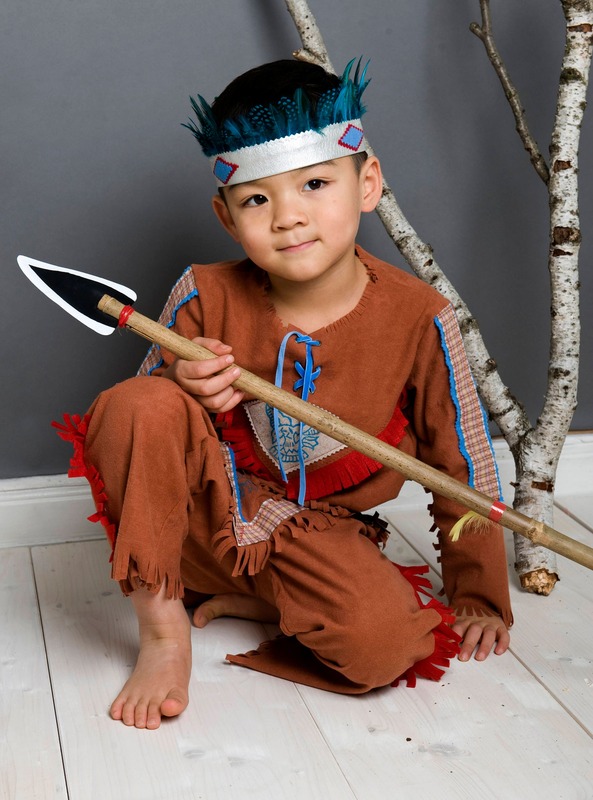 The dark brown fringed belt, the tomahawk and the feather crown are not part of the costume.